We are rapidly approaching the 2015 legislative session and bills are being pre-filed daily. I have been meeting with state legislators about our legislative agenda and progress is being made on having our bills filed and supported. Delegate Hugo will again take up the fight on HB 1230, which has been reworked by our legal staff to make sure the bill addresses our concerns. We have preliminary reports that the Teachers Union will join us in support of HB 1230 and I am working with representatives from the Commonwealth Attorneys Association on possible support from them also. HB 1230 will be the first step in balancing the grievance procedure law, which is now heavily weighted in favor of the employer. As soon as the revised bill is filed I will update the attached list with the new version. 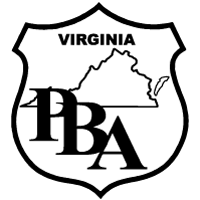 PBA endorsed Senator Jennifer Wexton is working with legislative services on a bill brought forward by members in Loudoun County who are forced to be members of the Virginia Sheriff's Association against their wills. The bill will require consent from the employee before any membership dues to any organization can be paid by the employer. I expect this bill will create much discussion and certainly strong opposition. As always please feel free to bring information or concerns and I will update you all with progress. If you wish to see the legislative process first hand contact me any time during the session to plan a trip to Richmond. HB 150 - Minchew - Jail authorities; sovereign immunity. HB 216 - Albo - Virginia Alcoholic Beverage Control Authority; created. HB 788 - LeMunyon - Virginia Freedom of Information Act; out-of-state requests for records. HB 839 - Brink - Virginia Freedom of Information Act; applicability to Office of the Attorney General. HB 981 - Cline - Alcoholic beverage control; certain tobacco laws, enforcement by Department of State Police. HB 1203 - Hugo - Localities; provision of grievance procedure. HB 1269 - Anderson - Government Data Collection & Dissemination Practices Act; collection & use of personal information. HB 1274 - Farrell - Electronic devices; search without a warrant prohibited. HB 1287 - Cole - Forfeiture of property used in connection with commission of crimes; conviction required. HB 1298 - Morris - Noncommercial vessels; probable cause. HB 1309 - Cole - Local school boards; arming of school security officers. HB 1316 - Toscano - Virginia Retirement System; average final compensation. HB 1317 - Campbell - Speeding; reckless driving. HB 1331 - Campbell - Sheriff's office; clarifies motor vehicle markings. HB 1349 - Carr - Search of electronic device without warrant prohibited. HB 1358 - Farrell - Virginia Retirement System; creditable service for members of General Assembly. HB 1372 - Webert - Workers' compensation insurance; use of experience rating; loss limitation not-at-fault vehicles. HB 1376 - McQuinn - Arrest and summons quotas; prohibition. HB 1406 - Head - Driving on a suspended or revoked license; causing death of another person, penalty. HB 1408 - Marshall, R.G. - Warrant requirement for certain telecommunications records; prohibition on collection law enforce. HJ 26 - Landes - Law-enforcement agencies; JLARC to study reorganizing functions under Virginia State Police. HJ 501 - Landes - Study; JLARC; reorganization of law-enforcement agencies; report. HJ 532 - Lingamfelter - Virginia's workers' compensation system; JLARC to study. SB 37 - Howell - Conservation police officers; appointment by Director of Department of Game and Inland Fisheries. SB 258 - Deeds - Law-enforcement consolidation plan; Secretary of Natural Resources to develop. SB 289 - Carrico - Line of Duty Act; funding and review. SB 293 - Puckett - Reckless driving; causing death or injury of certain persons, Class 5 felony. SB 451 - Norment - Law-enforcement officer; sworn municipal park rangers added to definition of officer. SB 566 - Colgan - Virginia Retirement System; increase of retirement allowance. SB 683 - Martin - DUI blood or breath tests; eligibility for restricted license. SB 684 - Carrico - Forfeiture of property used in connection with the commission of crimes; conviction required. SB 687 - Marsden - Virginia Retirement System; limitations on average final compensation. SB 692 - Deeds - Virginia Law Officers' Retirement System; conservation officers. SB 725 - Lucas - Arrest without warrant; procedures. SB 739 - Carrico - State Police, Department of; appointment of supervisory officers. SB 770 - McEachin - Workers' compensation; exclusivity of remedy. SJ 33 - Lucas - Corrections, Department of; JLARC to study staffing levels and employment conditions. SJ 36 - Deeds - Law-enforcement agencies, state; JLARC to study consolidation of all under Virginia State Police. SJ 55 - Puckett - Corrections, Department of; JLARC to study staffing levels and employment conditions.